A massive case lot of the very high end offering from Prvi Partizan for those tactical trainings and bulk shooting of your .357 Sig firearms. 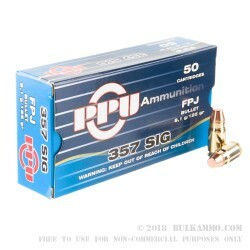 This is an excellent deal on 1500 rounds of the potent .357 Sig load with a 125 grain full metal jacket with a flat nose projectile profile. 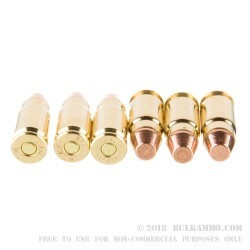 This load achieves excellent ballistic numbers and while it may not be a perfect round for self-defense (due to overpenetration concerns with the full metal jacket projectile), it is certainly a fantastic round for training with your sidearm. The round is no joke: with a velocity of 1542 feet per second out of the muzzle and 660 ft. lbs. of energy, the round can easily keep up with your need for training with a potent round and can simulate working with your normal high cost, premium personal protection loads without breaking the bank. The company has 90 years of producing high end ammunition that seeks to produce great value to the consumer with a low price and a value-added build. Their sweet spot for production is making military and law enforcement ammunition that rivals market leaders but in range style builds with components that are top tier. 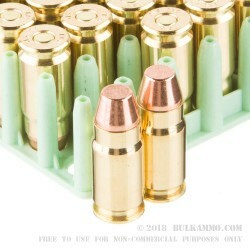 This reloadable, Boxer primed brass cartridge is an excellent example for the .357 Sig offerings by Prvi Partizan.